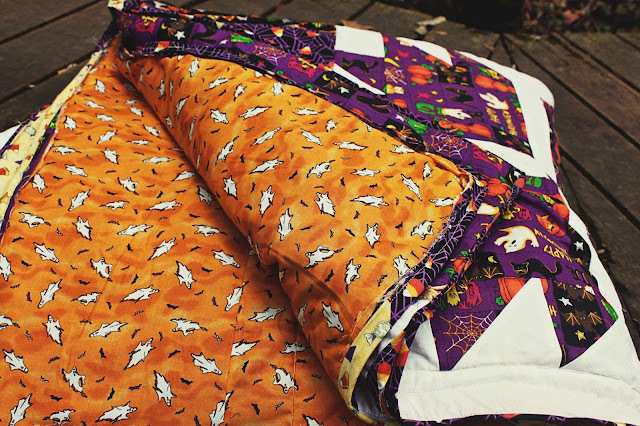 After a year and a half of hard work, Halloween quilts are complete! 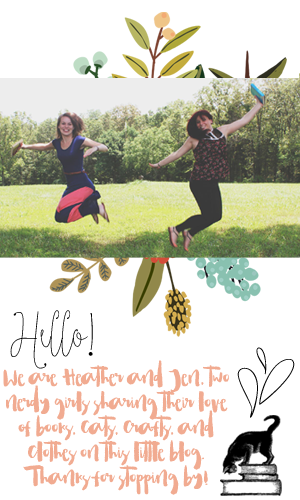 One of my favorite things about being friends with Jen is planning projects to make together. This is our 3rd project we've done together in the past 3 years. Previously we crocheted a hexagon blanket and a book quilt (which we will feature sometime soon!). This project is my favorite so far! 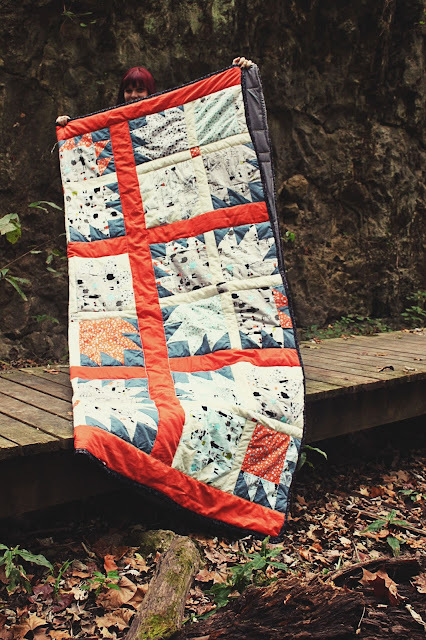 I feel like I've finally hit my groove with quilting and can tell I'm making less mistakes and everything came together more polished than I had hoped. I also really love that we picked a theme and both did our own take on it. Jen used more traditional Halloween fabric, which I loved. There's a cat fabric in here that I'm obsessed with! Jen has been quilting for so much longer than me, I'm always so impressed with how she pulls things together. For my quilt I had found some awesome zombie fabric that I decided to just make the theme of my quilt. I kept running out of muslin in gray and white (it was sold out when I went to buy more both times!) so that's where the orange came in, but I actually love the way the orange kind of ties it all together. I like it so much more than how I originally planned it out in my head! It's funny how things work out like that sometimes. 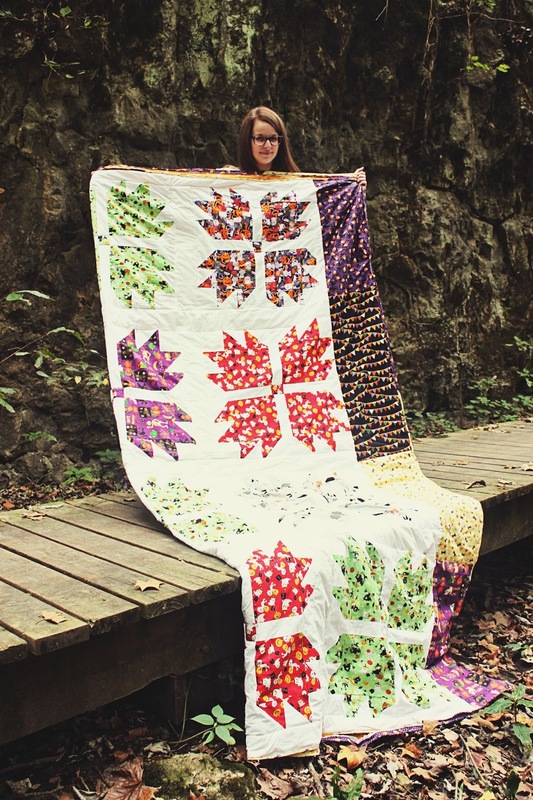 These things are by far the biggest quilts I've ever made or worked on, but I think the trick is to break it up into steps. It's also really fun to have someone to work on this with. I loved the days we would get together and work on cutting fabric and then piecing it all together. 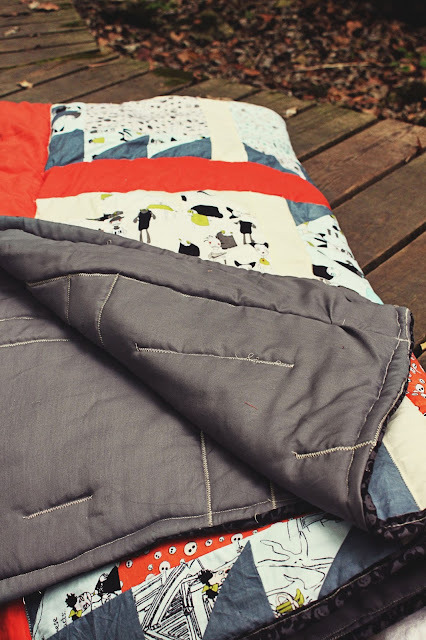 Projects like this are a great way to make something new while also staying close with your best friend. I'm so glad I have Jen to always work on crafty things with me! 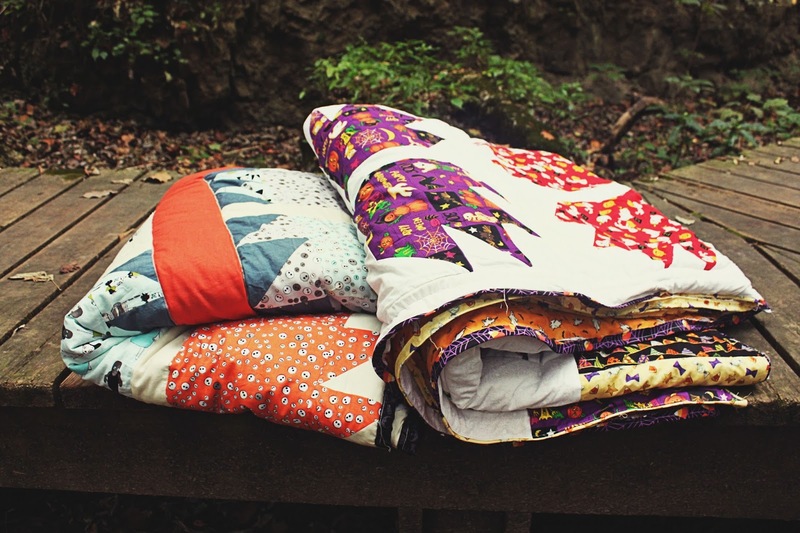 Any seasonal projects on your list this year? We have a few others we want to get to before we start working on Christmas gifts!